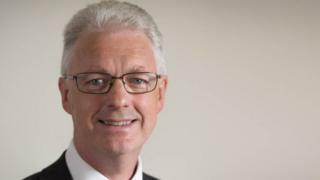 The University of Bath's new vice-chancellor is to earn over £200,000 less than his controversial predecessor, it has emerged. Professor Ian White is replacing Professor Dame Glynis Breakwell, who was the highest paid vice-chancellor in the UK. Prof White will earn an annual salary of £266,000, compared with Dame Glynis's £468,000. She stepped down in August following a long dispute over her salary. Bath Students' Union said the recruitment process was "transparent". Professor White is currently van Eck Professor of Engineering and a deputy vice-chancellor at the University of Cambridge, and Master of Jesus College. Professor White's appointment process was overseen by a panel - the Committee on the office of Vice-Chancellor - which included the university's chancellor, Prince Edward, the Earl of Wessex. He said: "We were struck with the way in which he analysed the needs of the university now and in the future, and how he applied his experiences from Bath, Bristol and Cambridge to create unique and relevant solutions." Students and staff had called for Dame Glynis to step down following accusations of excessive pay, with protests through the city taking place in November. President of the University of Bath Students' Union, Eve Alcock, who was a member of the final interview panel, said: "Students and staff had input and representation throughout and so we had the chance hear about Ian White's values and vision for the university. "I am confident that Ian White is the right choice. We can all look forward to an exciting and bright future for our university."